Between the period of October 2011 and March 2012, Lindsay Lohan completed 120 hours of community service at the LA County Morgue, which was part of her shoplifting sentence. She was supposed to be doing menial tasks like mopping, and emptying trash bins, and washing sheets, but she now states she handled Whitney Houston's body bag. …Because a lot of other people were meant to do it, and they were like: "No, they can't handle it. Lohan can." It's different for me than it would be for other people–like, no one would really have to work at the morgue in LA and roll a body bag for Whitney Houston. 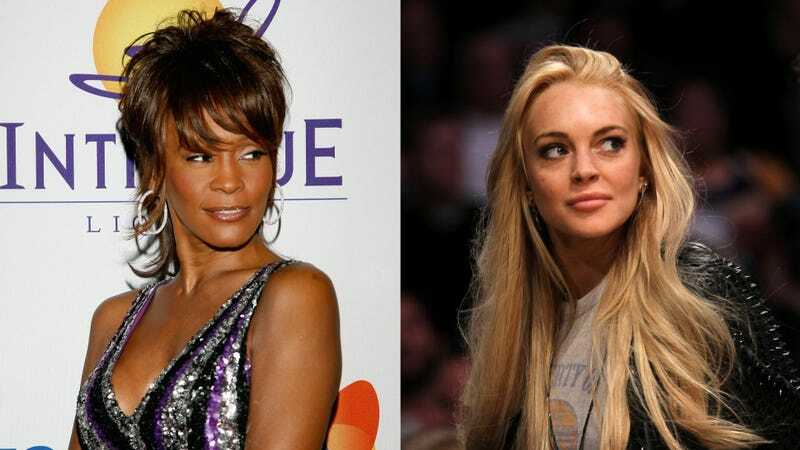 TMZ says that because Whitney Houston's death did happen during Lohan's time at the morgue, there is a possibility that this could have happened. **It kind of just makes me sad.